When I travel I am often on my own so compact is best, especially since my Lenovo laptop and assorted techie accoutrement is one entire (albeit small) backpack unto itself. 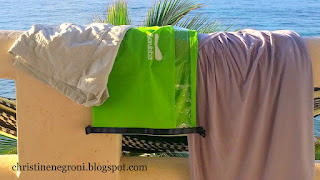 So I was delighted to find that the portable, lightweight travel clothes washing machine sent to me by The Scrubba Wash Bag worked as billed. 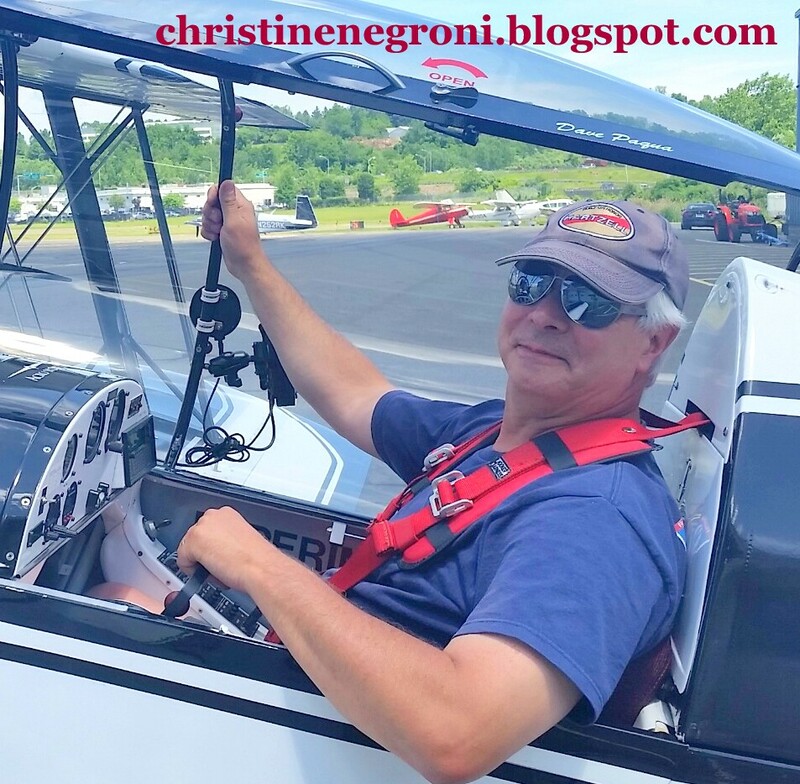 This product gets a free ride in my suitcase and starting position in my latest wrap up of travel products for the aviation crowd. The secret to packing spare is wearing things multiple times which means hand-washing, a manicure-wrecking, floor-soaking experience that I frankly don't like. The Scrubba Wash Bag is a thermoplastic polyurethane knapsack that the company claims can "rub out a machine quality wash in minutes." 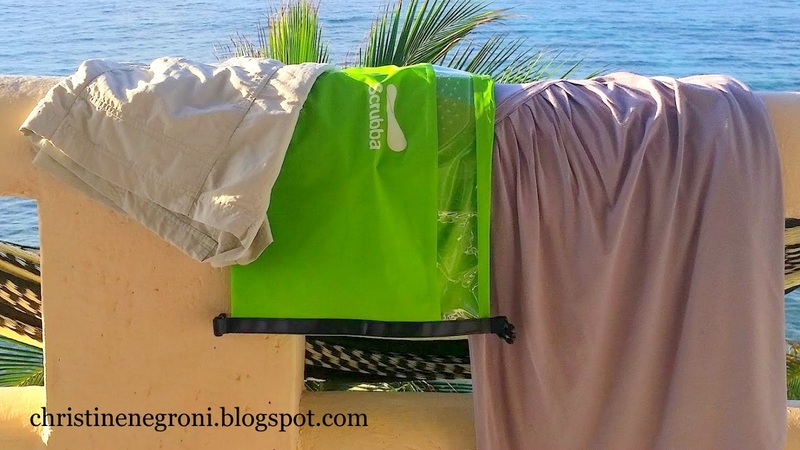 One week into a Mexico vacation, I gave it a try and chucked my Royal Robbins shorts, a knit dress, Polo shirt, tee shirt, socks and unmentionables into the bag, added a little soap, filled it with water and rolled down the top. I sloshed everything around, dumped the wash water, added fresh water and two or three rinses later, I was done. I’ve often found hand-washed clothes to be stiff when dry, probably because it is so hard to get all the soap out in a tiny sink. The Scrubba gives a much more thorough rinse. That, plus it's foldable and lightweight. And if that isn’t enough, the bag doubles as a waterproof carry-all I can use while kayaking. Scrubba is produced by Calibre8 an Australian company and is sold online. It goes without saying, (okay, so it doesn't) that no article of clothing goes in the suitcase if it can't be laundered easily on the road. 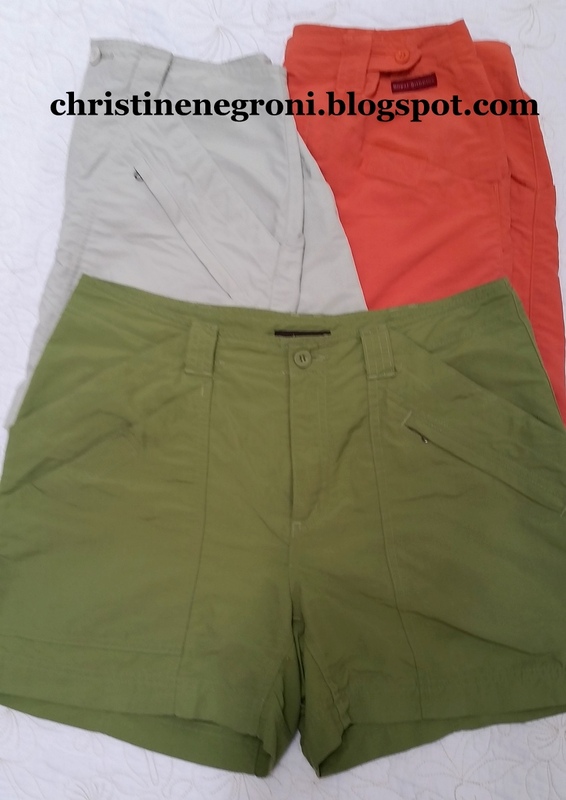 So I gravitate to the pants and shorts made by Royal Robbins, an American outdoor clothier. Made of ultra-light weight Supplex nylon it doesn't matter how tightly these pants are rolled or folded, they emerge from the suitcase wrinkle-free. I especially like the many large zip and Velcro-close pockets that by some engineering miracle do not add bulk in the hip. Add the belt loops and button adjustable waistbands and the fact that they are stain-resistant and easy to wash on the road and that explains why these are the go-to travel pants. Now, you won’t be wearing these to a business meeting but for casual and sporting activities, they’re great. Both men and women’s garments are sold in their online store. When flying often my pilot friends will try to give me control of the airplane, but I’m quick to remind them, I’m a professional passenger. So when Dual Eyewear asked me to test-fly their aviation sunglasses, I thought it best to let a real live pilot take over. Below, pilot and plane builder David Paqua’s pirep on Dual's shades. "Having flown for the past 10 years using various sunglasses I had the opportunity to try the Dual Eyewear – AV2 glasses recently and I have to say I’m very impressed with them. The frames fit well and are very light when compared to my trusty Ray ban Aviators. They also fit well beneath my headset so I still get a good tight fit that prevents sound from coming in. The frames feel strong and stood up to some fumbling and stretching when I put them on single-handed while flying. They definitely are not delicate. The bifocal lenses took a little getting used to; however I soon found them helpful in reading the tiny frequency notations on the av-charts. Doing light aerobatics was not a problem and the glasses stayed in place under the G’s. All in all I liked these glasses very much!" While I ought to give David the last word, I can’t resist chiming in since I received a pair too, for wearing while riding my bike. Like David I find them extremely light and comfortable with no sliding even when sweating and no glare. The magnification in the lower lens is great. I didn’t notice it until I needed it and then I was glad to have it. No drama, just performance; that’s the mark of all great travel products.